In this article I'll show how to how to change status bar color on WUP (Mobile + PC). 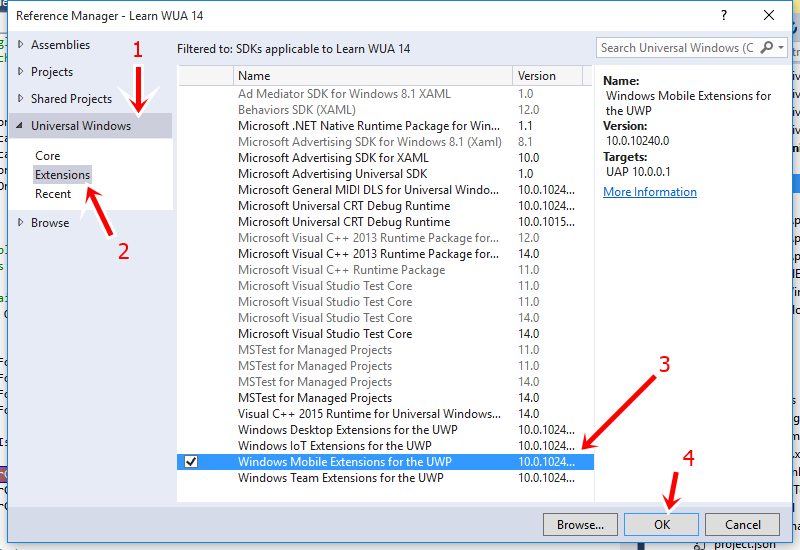 In order to do that in mobile, add the refernce of Microsoft Mobile Extension SDK for Universal App Platform in your project. You can find it under Reference Manager -> 1.Windows Universal > 2. Extensions.